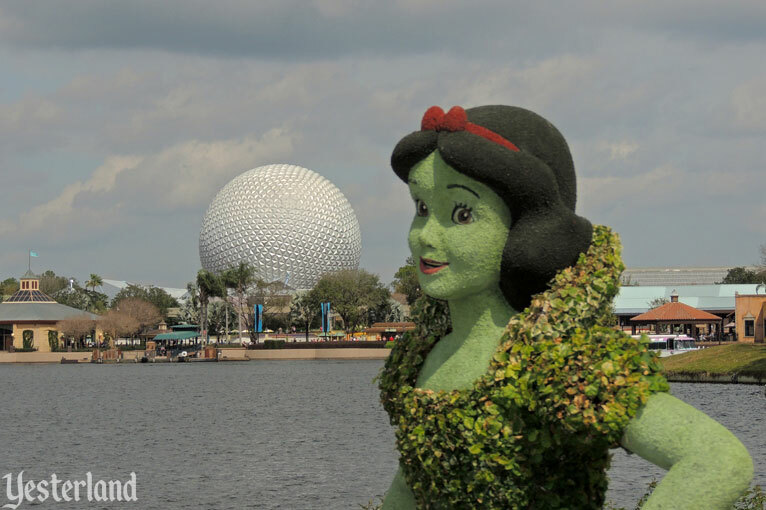 I was at the opening day of the Epcot Flower & Garden Festival. 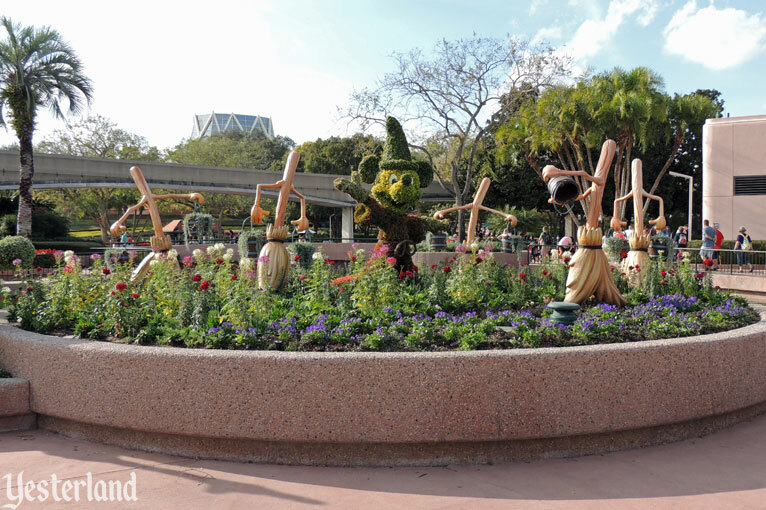 This event each spring is the lesser known cousin of the Epcot Food & Wine Festival each fall. If you prefer Yesterland articles about Disney things that have departed, please wait until after May 30 to read this. 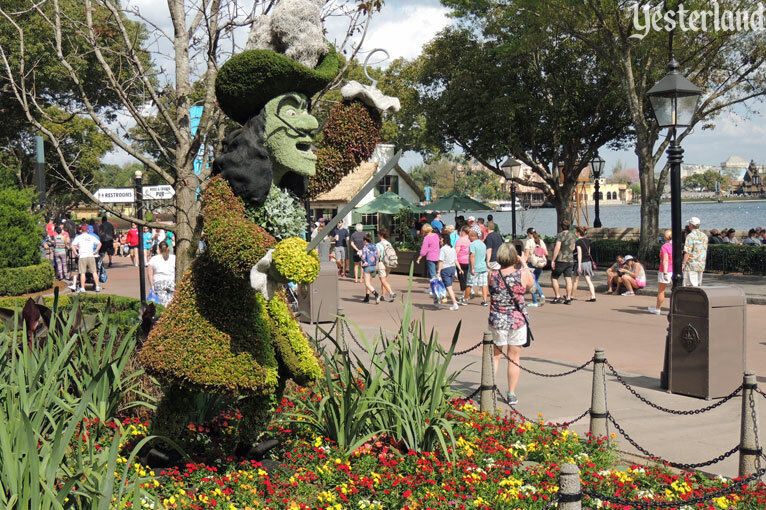 The Epcot Flower & Garden Festival will last 90 days instead of 75 days this year. 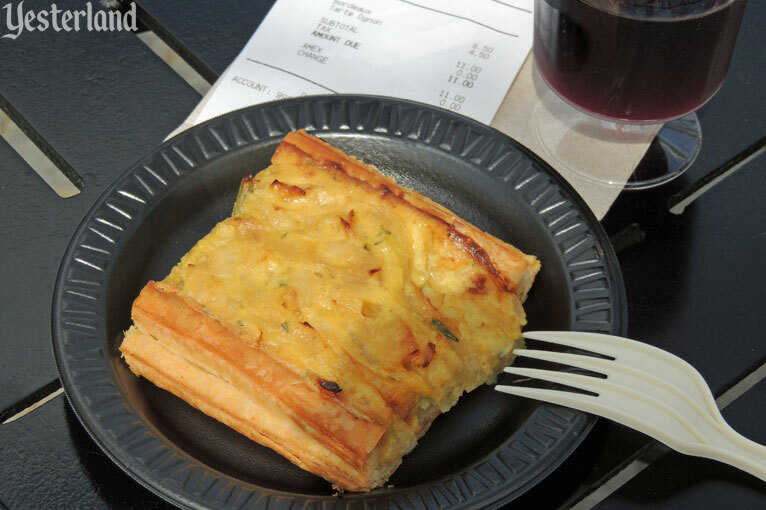 In Fall, the Epcot Food & Wine Festival is being expanded to 62 days, compared to 53 days last year. 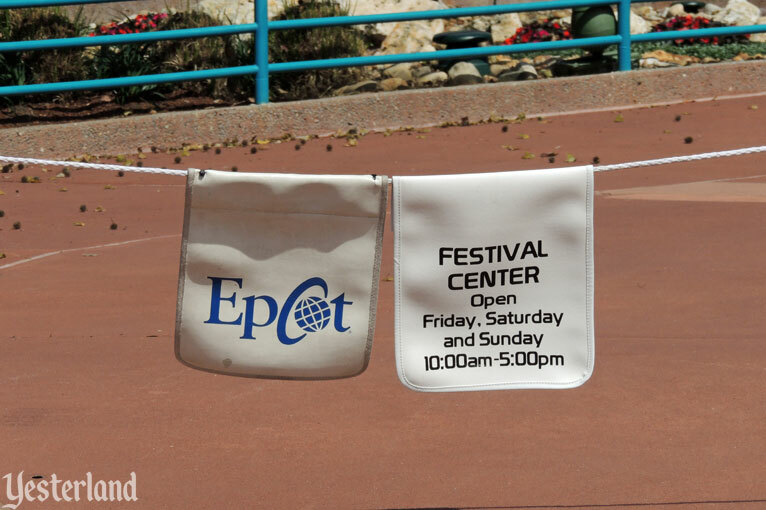 Add the 36-day Holidays Around the World event, and Epcot will be in “festival mode” 188 days the year. That’s more than half the year. 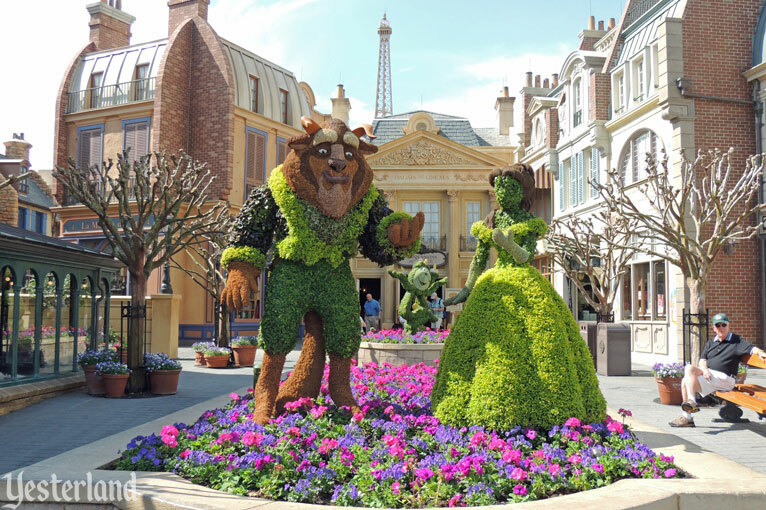 The staples of the Flower & Garden Festival have been topiaries, flower beds, sponsored gardens, playgrounds, a butterfly tent, and plant displays at the pavilions of the World Showcase. They’re back this year, with some additions and deletions. 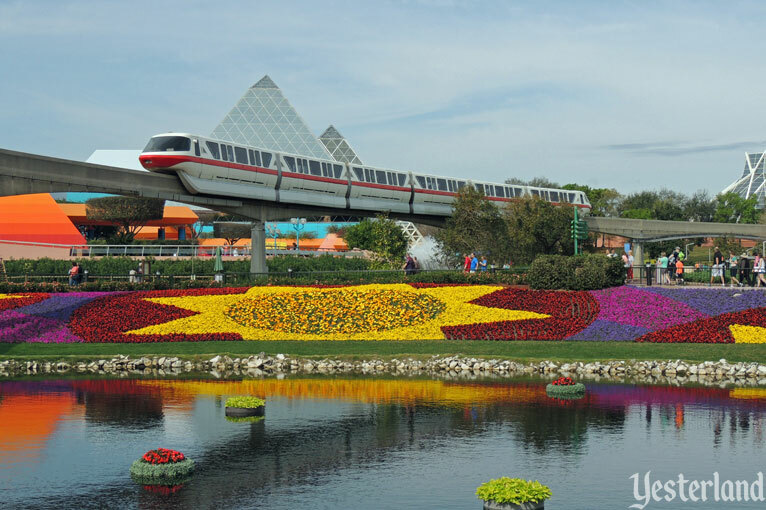 Epcot always looks good, but it looks its best during the Flower & Garden Festival. Probably the festival’s most photographed flower beds are those below the Monorail track where Future World and World Showcase meet. The former Wonders of Life Pavilion is back as the Festival Center, with exhibits and speakers—but only on Fridays, Saturdays, and Sundays. The rest of the week, there’s a rope across the walkway to the entrance. Along the same lines, the Garden Rocks Concert Series at the America Gardens Theatre offers three concerts nightly each Friday, Saturday and Sunday—but not the other four days of the week. Acts include the Village People (“Y.M.C.A.”), Herman’s Hermits starring Peter Noone (“I’m Henry VIII, I Am”), and Night Ranger (“Sister Christian”). The longer festival means 13 three-day weekends, each with a different act. 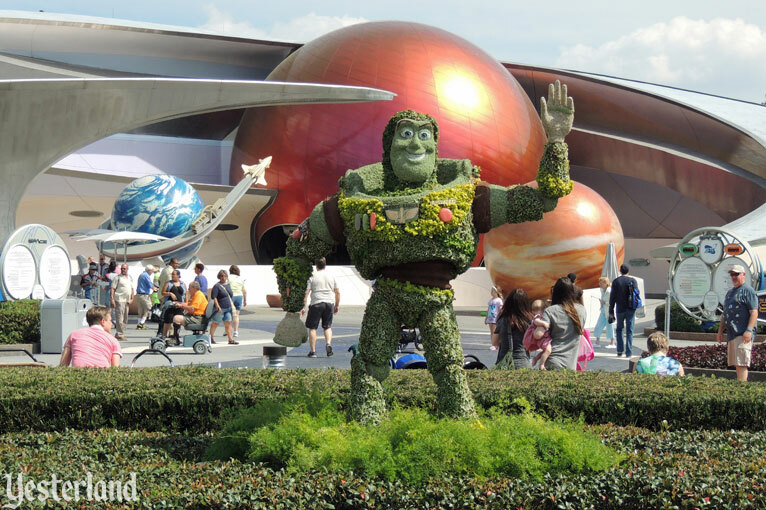 In comparison, the Food & Wine Festival uses the Festival Center and America Gardens Theatre seven days a week. 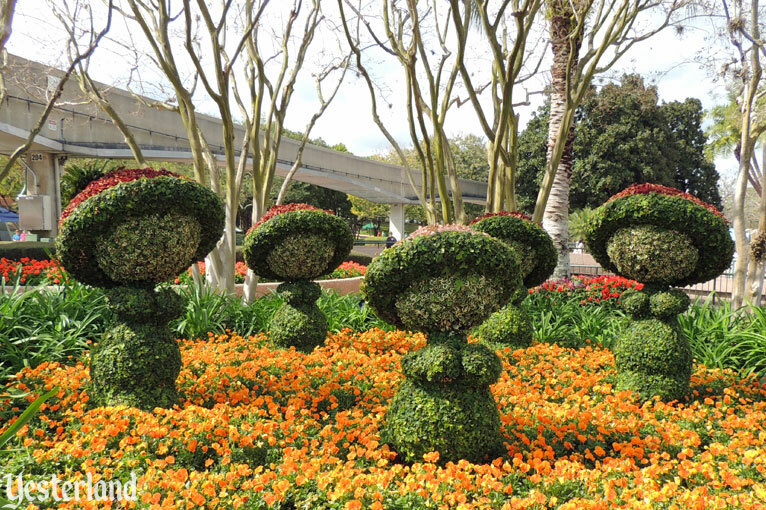 If you still think of topiaries as bushes that vaguely resemble something else because of how they’re trained and pruned, you haven’t seen the detailed sculptures that Epcot now exhibits as topiaries. World Showcase has more than just topiaries, such as bonsai at Japan, a tea garden at the United Kingdom, a bamboo garden at China, and orchids at Mexico. 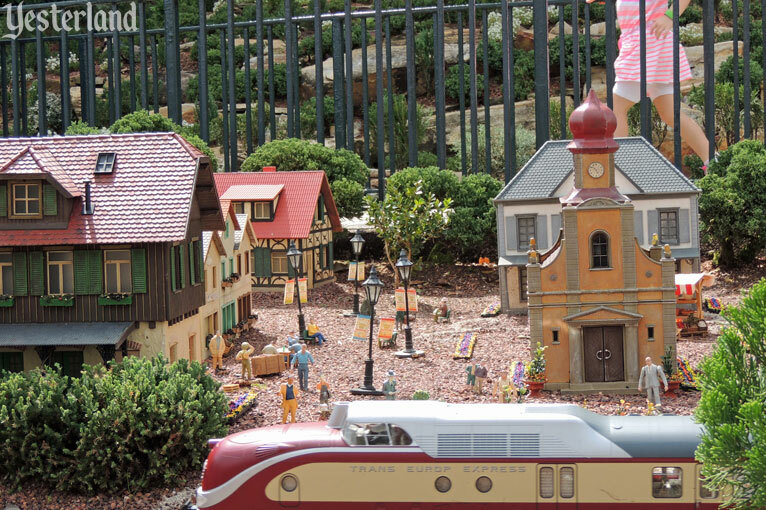 Even the train layout at Germany gets into the act with a scale model Flower & Garden Festival. 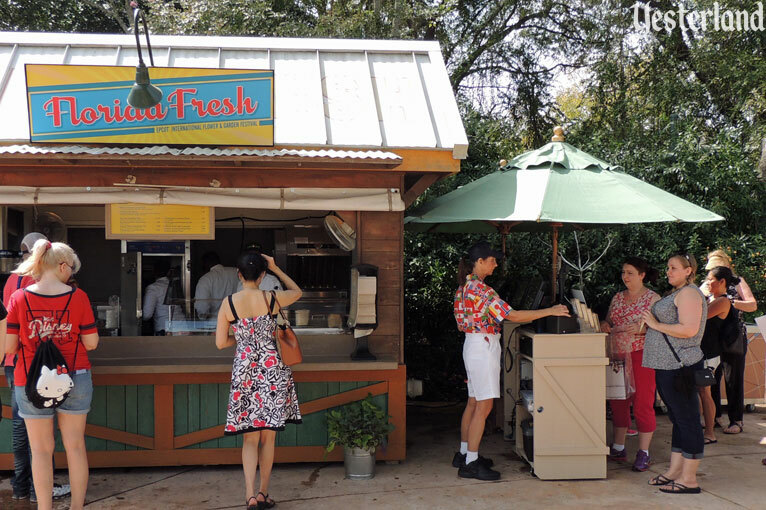 In 2013, Disney added food and beverage kiosks around World Showcase Lagoon to the Flower & Garden Festival. 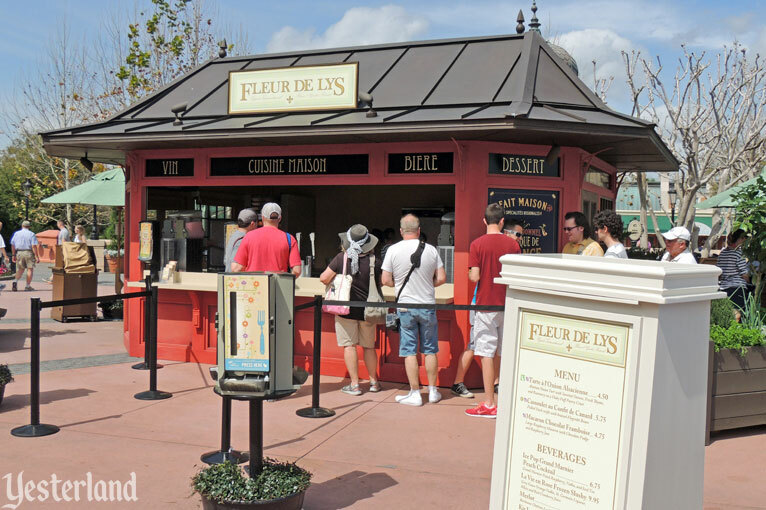 With this enhancement, it became like a “Spring Edition of the Food & Wine Festival,” although with fewer kiosks. Originally dubbed Garden Marketplaces, the kiosks are called Outdoor Kitchens this year, and there are 13 of them. 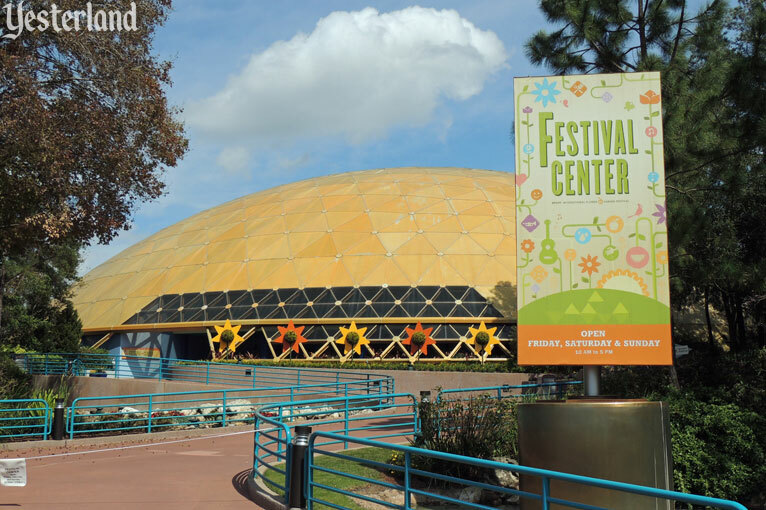 The structures are borrowed from the Food & Wine Festival, but the menus are not. The emphasis is on “fresh, farm-to-table flavors.” There are far fewer wine choices and far more fruit beverages—some with alcohol and some without. My lunch on opening day involved four Outdoor Kitchens. 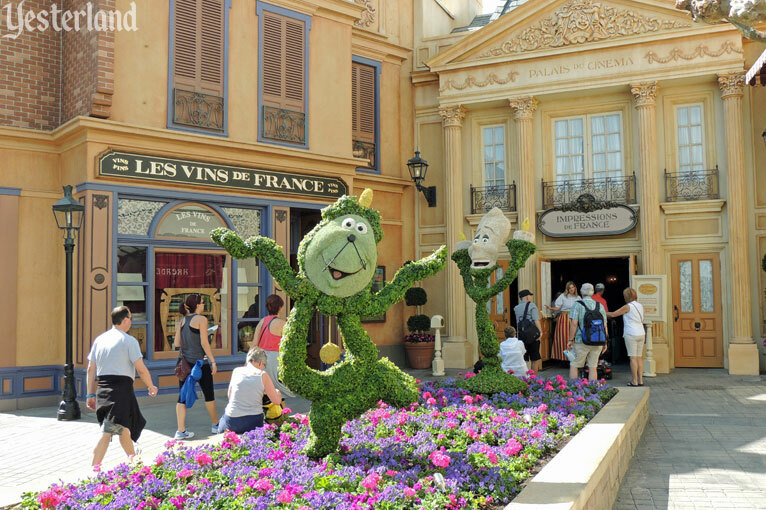 Saunter to the France Pavilion and land at a Parisian pop-up that’s sure to please your palate with its haute cuisine and tasty tonics. And don’t you dare pass up the chance to try the colossal raspberry and fudge macaron—it’s waiting for you to relish and share! I dared to pass up the macaron (which looked good, but not “colossal”) in favor of a delicious onion tart, which I accompanied with red wine. After the rich onion tart, it was time for something fresher, lighter, and healthier. I did not have to go far. 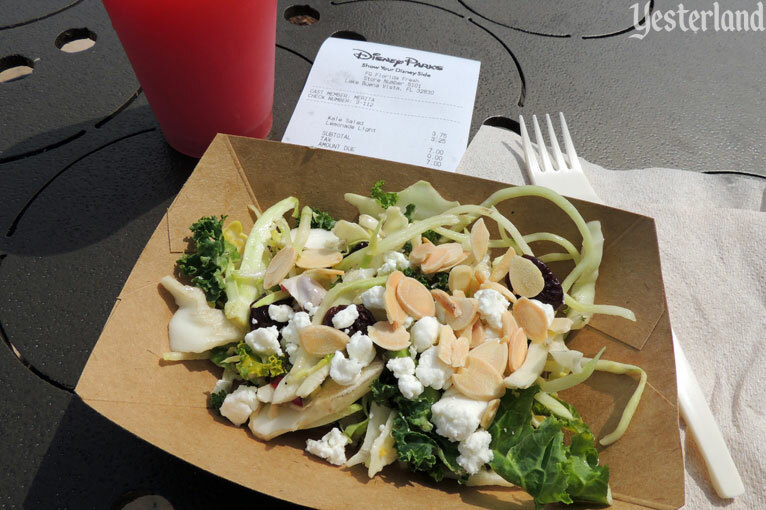 Follow your nose to this Sunshine State-station between the Morocco and France Pavilions. You’ll discover a shining selection of sweet and tangy creations made from locally grown fixings. Pair your picks with an adult thirst-quencher—wine, craft beer or a sweet watermelon juice or slush. The bonus is that Florida Fresh has a particularly nice seating area. The salad provided a good variety of tastes and textures, and was perfectly dressed. The watermelon juice is 100% fresh juice, not some sort of sweetened punch. 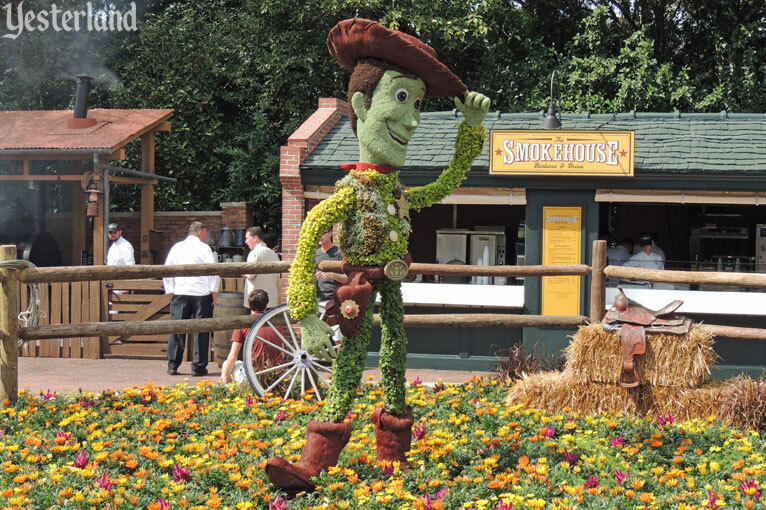 Saddle up to this al fresco area at the American Adventure Pavilion to scoop up hearty portions of slow-cooked specialties—the perfect fixin’s for a springtime gathering with family and friends. 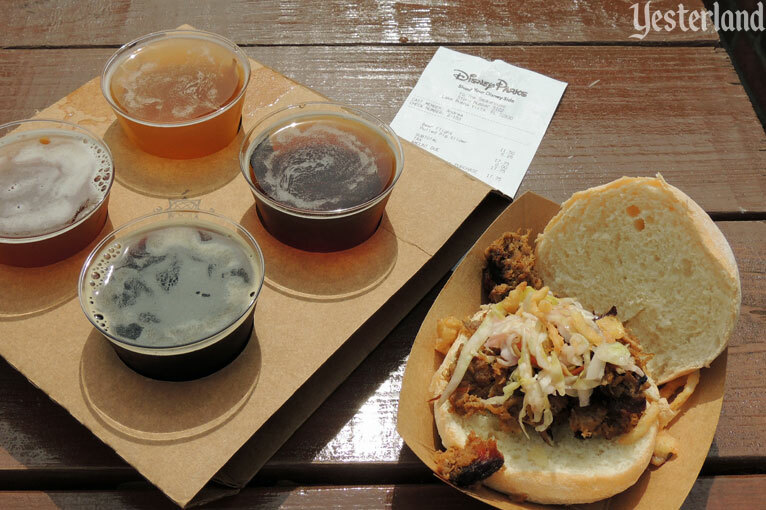 Think lip-smacking sliders, brisket, smoked ribs and a mighty fine selection of golden craft brews. 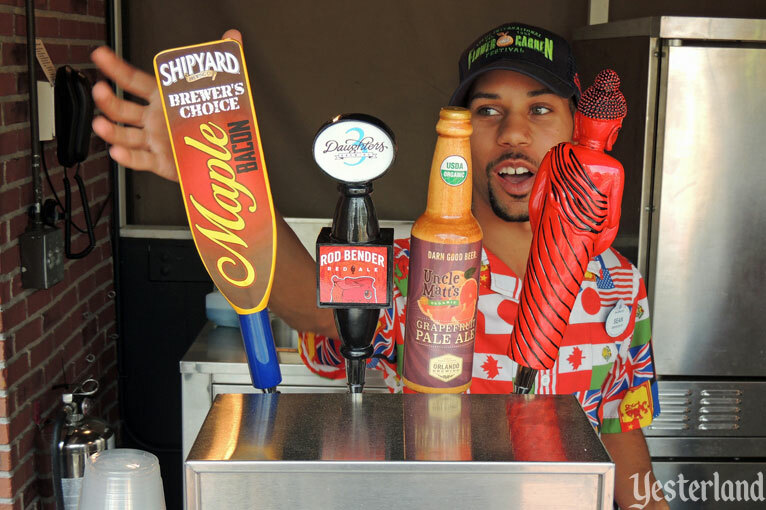 The craft brews weren’t all “golden”—and that’s a good thing! It was fun comparing four completely different beers. They were all good—even the Maple Bacon Stout. The maple sweetness and bacon smokiness were recognizable, but subtle enough to harmonize well with the flavor of the stout. The smoked pork on the fresh bun was tasty, but was a bit dry. It was only as I took my last bite that I noticed a counter with sweet barbecue sauce, hot barbecue sauce, and a third sauce without a label. Apparently, I was trying too hard not to spill to notice them when I left the pick-up window. 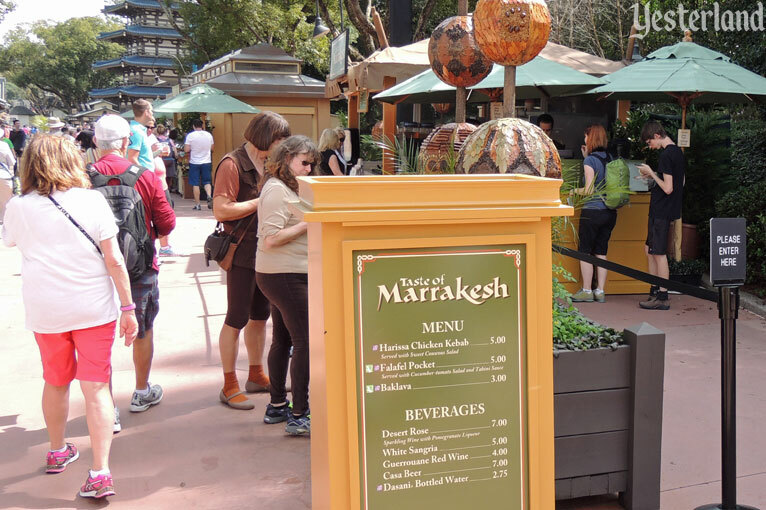 Trek over to the Morocco Pavilion and plant yourself at the counter of this popular Festival kitchen. Choose from a trio of spice-infused Mediterranean masterpieces and cocktails such as white sangria or sparkling wine with a pop of pomegranate liqueur. Who writes this stuff? You can’t “plant yourself at the counter.” It’s a quick-service kiosk. 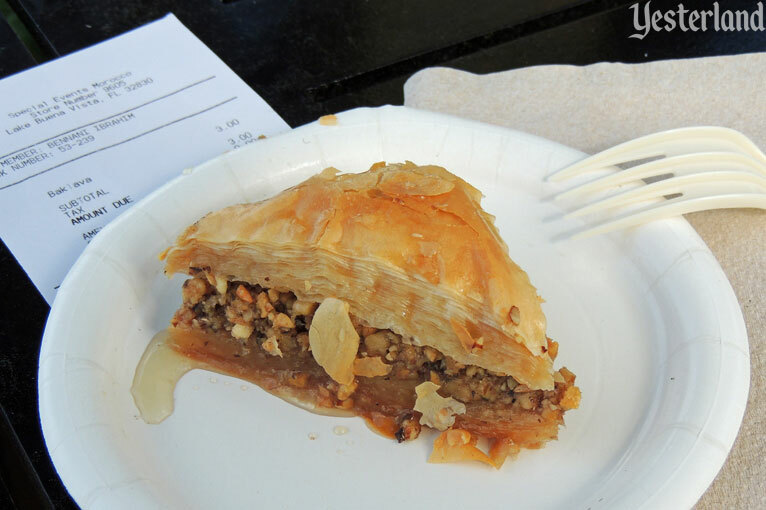 The baklava was good and exactly what I expected. I probably should have looked for a more unusual dessert. The total cost of my lunch was $38.75 (including $18 for alcohol). Tax is included in the prices, and there’s no tipping at the Outdoor Kitchens. That’s a lot of money for lunch, but, then again, my lunches usually don’t include wine or beer—and certainly not both. All over Walt Disney World, there’s Star Wars merchandise. But I didn’t expect to see it at the Flower & Garden Festival shops that surround World Showcase Lagoon. 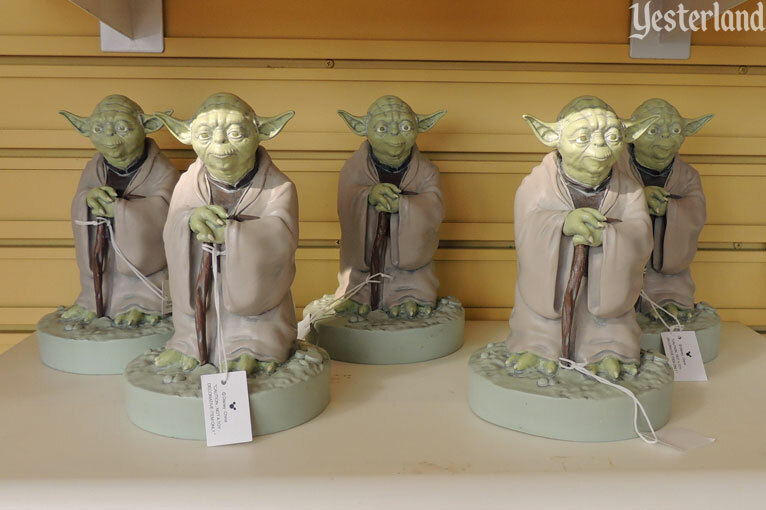 I should not have been surprised to see Grand Jedi Master Yoda as a garden decoration. He’s roughly eight inches tall and sells for $39.95. May the Force be with your garden.